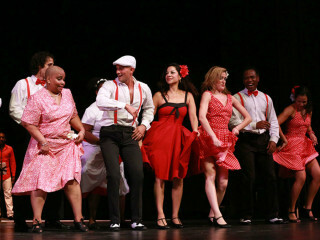 Foundation for Modern Music presents Salsa y Salud! Celebrating its 8th anniversary, Texas’ largest live salsa music, dance and health festival, Salsa y Salud, presents Power in Unity: a dynamic production saluting the City of Houston, First Responders, and Houstonians as they came together in the aftermath of one of our city’s most devastating natural disasters – hurricane Harvey. The production celebrates the remarkable recovery the city had, honors the lives of victims, and reminds us that still after a year, they’re many still affected by the hurricane. An original, multi-media, new production features special musical arrangements, world premieres, new choreography and staging - all inspired and commissioned for this occasion.